SINTEF engineers have begun testing a new-age concrete designed to withstand extreme conditions, self repair, and last for 200 years. A primary goal of the project is to reduce CO2 emissions by extending the operational lifetime of the concrete, thereby reducing emissions from concrete production. Christian Simon, SINTEF’s Research Manager for nano- and hybrid materials, says that his team is aiming to develop a concrete containing additive nanomaterials that change and enhance its properties. 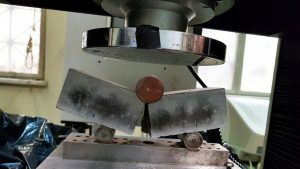 The researchers have already started making test pieces that will be subjected to accelerated tests to simulate stresses corresponding to lifetimes of between 100 and 200 years. According to the researchers, the next-gen concrete comes with offers self-diagnostic capabilities. It employs a network of carbon nanotubes and nanofibers with enhanced electrical conductivity to obtain precise information about the current condition of the concrete. The concrete uses a self-repair system based on nanomaterials and hydrogels to deal with cracks. It also contains self-curing materials that prevent shrinkage.